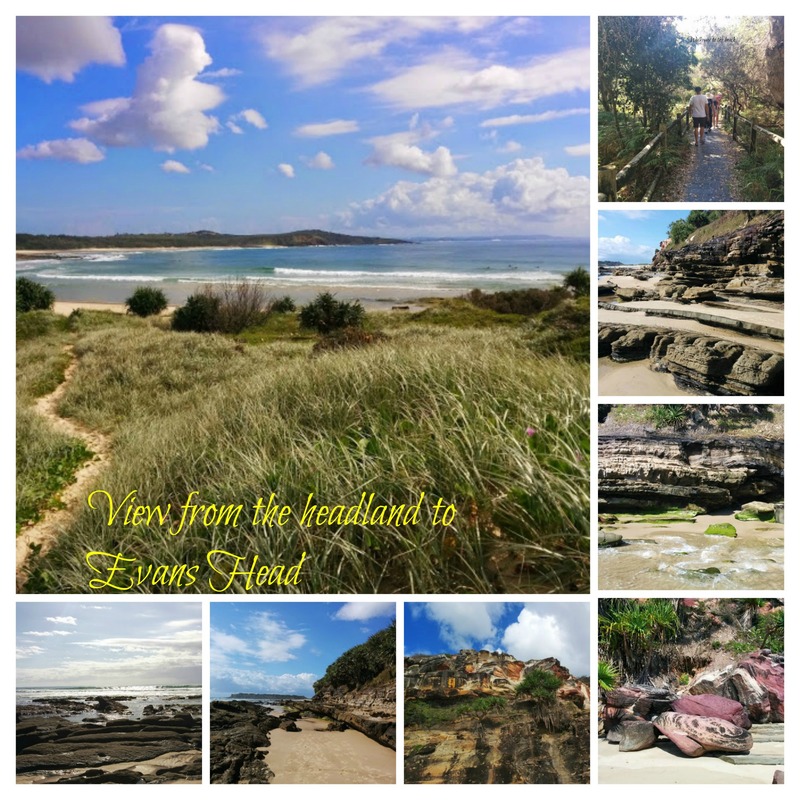 Evans Head is only about 45 mins away from Byron Bay. The group we joined for a long weekend were seasoned glampers. 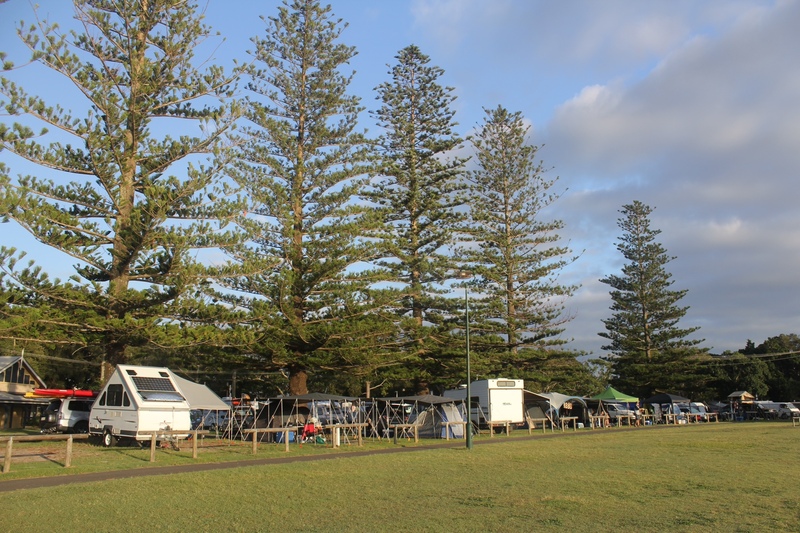 We had waterfront sites at the Silver Sands Caravan Park and soon, remarkable hand crafted camper trailers were being unloaded, tents and tarps erected and kayaks and professional looking fishing gear stowed away. There was so much to explore and experience. First of all, we had to explore the track along the river, to the breakwater and the beach and test out the surf. The water was clear and very warm for this time of year. Soon, it was time for Happy Hour and a gourmet barbecue as we watched the tide run out on the river and the pelicans playing. 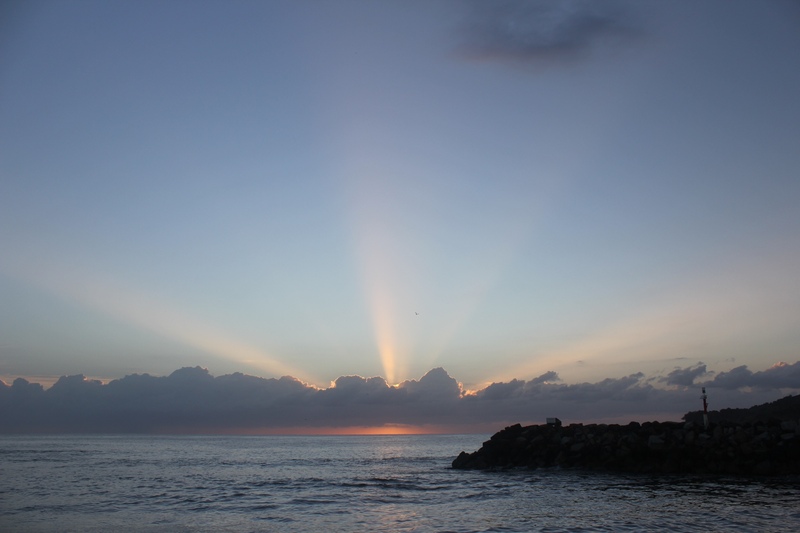 Next morning, I was up early enough to catch the sunrise. I didn’t have to forego my beauty sleep as daylight saving hadn’t ended and the sun was kindly rising at 7 am. 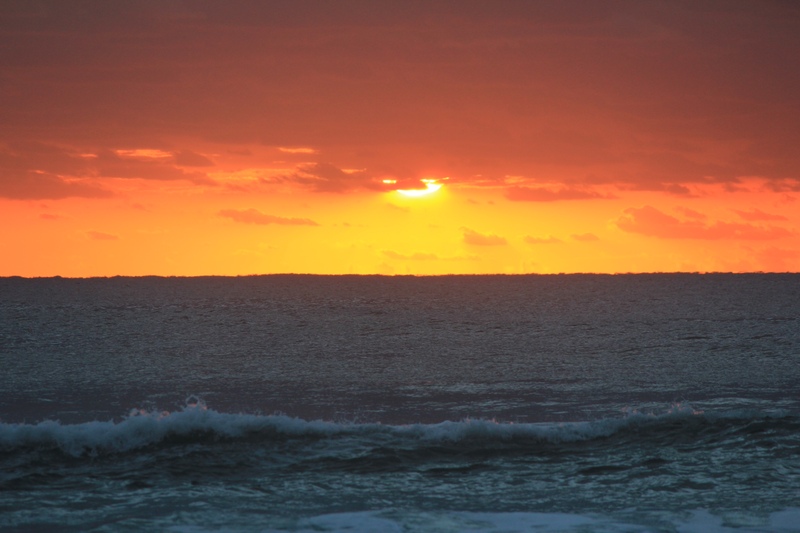 The sun peeked through the clouds and then burst over the ocean in amazing colours! Walking back to camp, I noticed that the riverside cafe was open. No need to forego creature comforts while glamping. I thought, as I appreciatively sipped a large takeaway cappuccino. 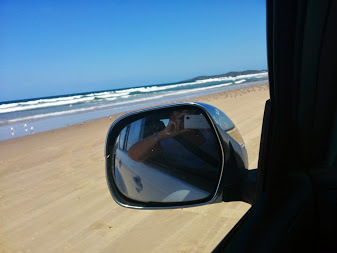 Later that day we tested out the 4WD on the sand. 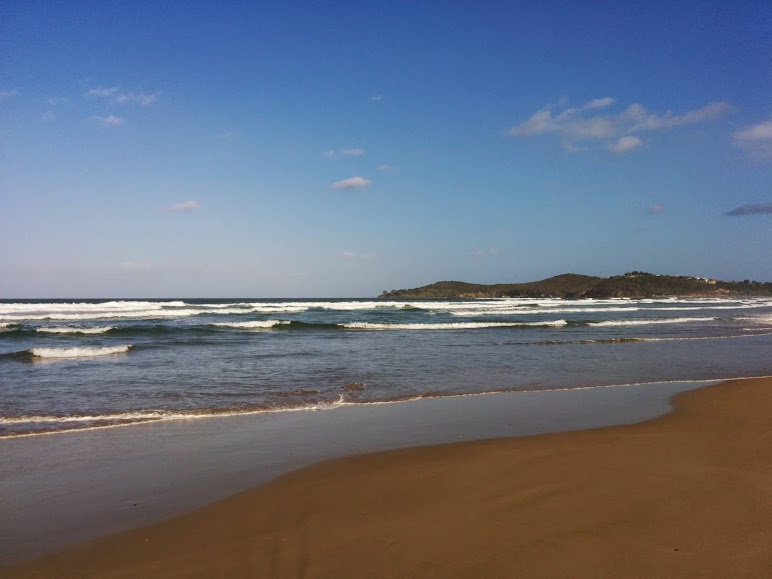 You can drive north along the beach for quite a few kms and you don’t need a permit to do so. It’s just you, the sea, the sand and the seagulls and pelicans. Oh and the occasional horse and rider. 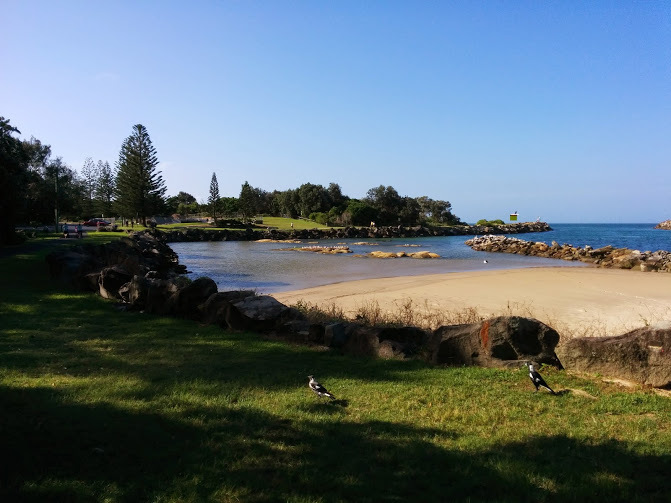 We also explored the beautiful Chinaman’s Beach which is a little to the south of our campsite on the other side of the river. The beach is perfectly unspoiled and is fringed with amazing aubergine coloured rocks, tangerine, brown and cream striped cliffs and amazing rock pools. I love climbing over and through rock pools. It’s like there a new world just waiting to be discovered by you. What a wonderful way to spend a couple of hours! Back at camp, the troops had been busy. A visit to the fishing co-op and Tiger Prawns were on the menu. My baked bean days were over!. And so the weekend continued. The Kayakers ventured upstream, circumnavigated a small island and let the current bring them back to camp. The fishermen had some success in the surf gutters. Blessed with perfect sunny weather and balmy nights, we swam, ate, walked, ate, fished, ate and drank a …a little. What’s a bottle or two of Pinot Grigio between friends? And I took the time to catch up on some reading and day dream about the next glamping adventure.